e·da·cious – /iˈdāSHəs/ – adjective. Of, relating to, or given to eating. From the Latin edere, to eat. Synonyms: voracious – gluttonous – ravenous – greedy – piggish. I’m SO excited! As of today, I am an Etsy shop owner! I’ve been considering this for quite a while, and this year, finally decided to take the plunge. As of today, I welcome edacious (cook)booksellers to the land of Etsy. Books for cooks, gluttons, and the just plain hungry. Gently used vintage cookbooks for every taste. Edacious, one of those rare, wacky words used in relation to time and how piggish it can be. Like when you’re browsing a used bookstore for old cookbooks and suddenly you look up and time has edaciously made 4 hours of your day disappear. 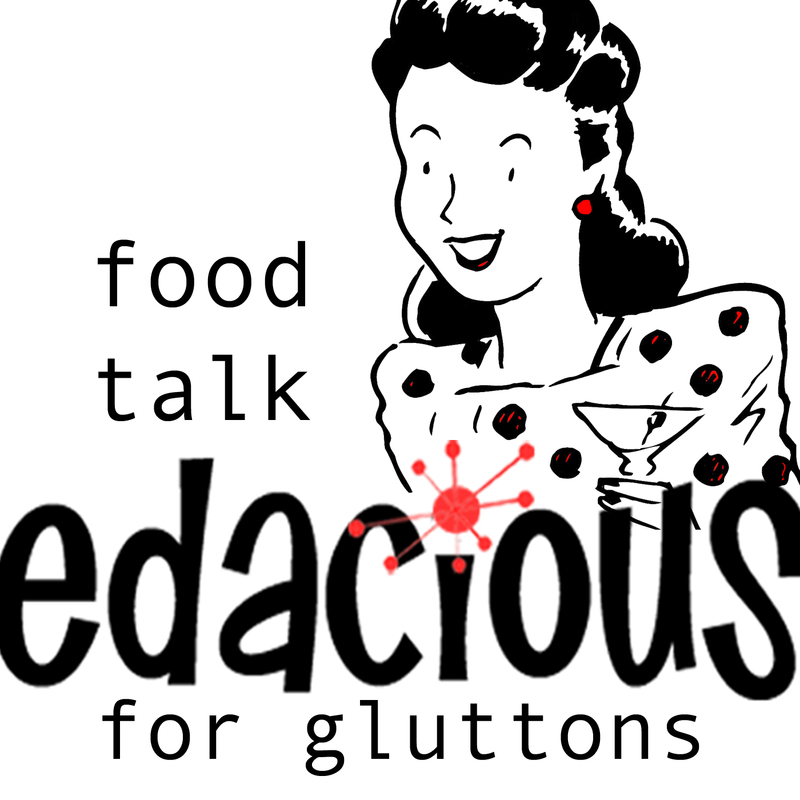 Edacious sells cookbooks that take you back to when “salad” meant cottage cheese and canned fruit and “30-minute meal” meant Cream of Something soup. I hope when you browse, you’ll become as edacious about vintage cookbooks as I am. My obsession began when I poured over my mother’s Betty Crocker cookbook as a child. I thought it was so cool Dwight & Mamie Eisenhower’s favorite recipes were included (steak and potatoes and green beans…of COURSE). My passion for vintage recipes started with my first purchase of a farmer’s wife cookbook published in 1870. Instructions for how to butcher and cook an ox were included. I was hooked. Vintage cookbooks are not only collections of recipes, they are our history. Sometimes you find recipe relics long extinct, sometimes you find regrettable Jello-mold monstrosities, but all the time you find something to fawn over, or laugh about, or show someone. A real live cookbook carries the notes in the margin, the stains on the pages, the HISTORY of every time you make that favorite dish. I hope you enjoy browsing my collection. Now this doesn’t mean I’ll be neglecting my food writing duties, no sirree. Too many exciting things going on. I’ll still be writing weekly on food happenings in and around Charlottesville, but now I will also be trying out some of these heinous recipes as well. Won’t that be a hoot? Everything is shipped Priority Mail, lovingly packaged for your enjoyment. Softcover books are packaged in acid-free sleeves with backing boards for preservation. Hardcover books are preserved in acid-free bookcovers. Just like you’d get in your school library :) In addition to cookbooks, I offer my utmost, detailed attention and fast, personal service. Thank you for looking!